Our machines have a capacity of grams to kilos (3 Kilogram max). We can produce small to large volume of pieces (250 pieces minimum). Over molding orders for composite pieces is possible. 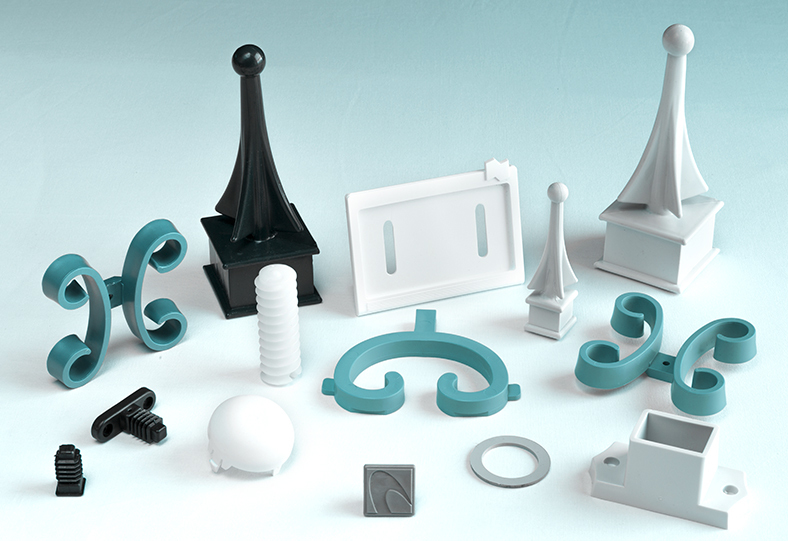 Over molding is the process of moulding plastic over another material part (metal or plastic). All auxiliary production equipment necessary to fill all of our customers’ orders are available. This includes: sprue pickers, color feeders, mold heaters, hygroscopic resins dryers, power packs, etc. We have several injections molding machines available for different size pieces (180 to 650 metric tons) that accepts simple molds (straight sprue), three-plated molds, or hot runner system molds. We can produce plastic products made from polyethylene (PE), polypropylene (PP), polystyrene (PS), polyamide (PA6), polycarbonate (PC), polyvinyl chloride (PVC), acrylonitrile butadiene styrene (ABS), etc. Whether in the molding of parts for industrial, automotive or consumer products (water heaters parts, trash bin, boot tray and more), we are committed to keeping the highest standard of quality.